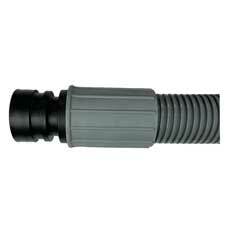 Pickup Hose Swivel End Cuff - 1.25" Dia. Everything from Crevice Tools, Dust Brushes, Upholstery Tools, Pipe Cleaners and Wands – UnoClean has the professional MinuteMan vacuum tool attachment to get the job done. MinuteMan Vacuums are available here.